Does buying a pre-owned property differ from buying a new build house? In essence, there are differences in buying a pre-owned property compared to buying a new build property. However, no matter when you are buying a new home to live in or even a property for investment there will always be some challenges. It is how experienced your conveyancing solicitor is in not only handling these obstacles but also the manner in which they are communicated to the various parties. This is what differentiates the specialist conveyancing solicitors to that of a ‘jack of all trades’ legal practice. Even the smoothest of property transactions requires careful compliance with the conveyancing process whereby the ownership of a property is legally transferred from one owner to another. At Harrison’s Solicitors, our property law experts make conveyancing transactions easy and hassle-free. They are very experienced and knowledgeable and are there to make sure your needs as a buyer or seller are fully met at every step of the conveyancing process. Thorough and diligent conveyancing conducted by trained and qualified professionals is a must for any property purchase. However, it’s important to remember there are additional issues involved with buying a new build property. Did you know that all licensed solicitors are qualified to carry out conveyancing (the process of buying and selling a property), but this is by no means a guarantee that this is an area they are experienced and specialists in. At Harrison’s, all conveyancing transactions are handled by qualified solicitors, legal executives or licensed conveyancers, accredited under the Law Society Conveyancing Scheme. We recommend that you choose your conveyancing solicitor carefully. Look at the number of years they have been trading, look at the reviews of past clients and look to see if they offer a no-fee policy for failed property transactions. What’s typically involved in the conveyancing process? The above are important issues for all types of properties, however, if you are considering buying an old or listed building, it’s especially important to engage the services of an experienced conveyancer you trust to do a comprehensive job. Throughout the conveyancing process, we will take each step with time and attention. At Harrison’s Solicitors, we will move forward expediently to make sure there are no unnecessary delays. We are also available to discuss the process with you whenever you feel the need. Before purchasing a property it is important to fully investigate the condition of the property beyond just walking around and observing. Many of the facts taken into consideration on the condition of the property can’t actually be seen. The mortgage survey investigates the condition of the property. This type of survey can reveal a great deal of information on the property condition and potential issues in both the short and long term. These surveys highlight differing levels of information about the property to help both the buyer and lender make informed decisions. By selecting the most appropriate property survey, many potential problems associated with buying the property can be avoided. Why is the survey a benefit to you? The mortgage valuation is really a benefit to the lender of the funds, whereas the survey is for the benefit of the purchaser of the property. At Harrison’s Solicitors, we would always advise on obtaining a full structural survey on pre-owned or older properties. This type of report is extremely useful as it provides an in-depth analysis of the overall condition of the property including defects, repairs and maintenance issues. The process of buying a house is one of the biggest commitments you will make, so it is essential if you to want to avoid unnecessary costs that you are fully aware of any repairs and maintenance issues however large or small. When it comes to newer property, a valuation survey may suffice. However with older properties, those that are over fifty years old for example, it may be prudent to have a full structural survey completed. This will help identify potential concerns that may be hiding beneath the surface. At this stage, you could either renegotiate the price to allow the work to be completed or even ask the seller to have this done before you buy the property. In some instances, however, the sale price of the property may already reflect the work that needs to be completed. It is crucial that you choose a conveyancing solicitor you feel comfortable working with for your house purchase or sale. They act as a trusted intermediary between you, the seller and your mortgage lender. The process is different when you are buying directly from a developer. There is normally a limited time to agree and exchange contracts. The developer will reserve the property on the expectation that you instruct a solicitor and arrange for a mortgage for a non-refundable holding deposit. This is often set to only four weeks. Each property builder has their own particular deadline for property contract exchange. If you do not achieve this exchange deadline, you may lose the fees paid to reserve the property and the property itself. The level of flexibility for the reservation period though is linked to the buoyancy of the housing market in the area that you are buying. At Harrison’s, our experience is to work to deadlines when they are set to avoid penalties. It is common that many new property developers strongly push their own solicitors onto prospective buyers for the conveyancing transaction. One of the most common reasons for this is linked to the eagerness to get the property sale through as quickly as possible. By using their selected conveyancing firm will help them achieve this goal. Being represented by a conveyancing solicitor who is primarily acting in the interests of the developer is never a strong position to be in as a buyer. At Harrison’s Solicitors, our specialist new build conveyancers use their knowledge and expertise to act in the interests of you and you alone through the complex conveyancing process for a new build home. There is every chance that when buying a new build property purchase that it has not been completely built. This can be very complex as often you are committing to a buying a new build property on the strength on what you have seen in the show home. 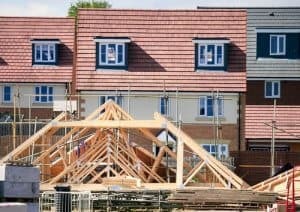 When buying a new build property, it is highly likely that it has not been built. Therefore it is important to ensure that you have an inspection of the property to highlight defects and problems with the property. In our experience paying for an experienced surveyor to complete a snagging list is essential. 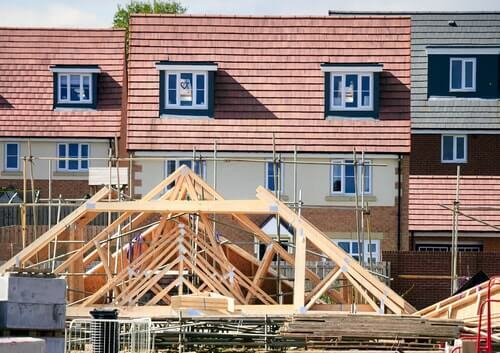 A recent new home review survey highlighted that 90% of new build property buyers had experienced snags and defects on their property purchase. Furthermore, they were also extremely unhappy with the service provided by some developers to rectify the snags or defects. A snagging survey prior to the property completion can outline the issues before you complete on your property purchase and pick up the keys. A good snagging survey will include a schedule of work to be completed with photographic / video evidence. This can be shared with the property developers so that these issues can be rectified satisfactorily or even be used to renegotiate with the developer. Due to the uncertainties with the weather, availability of building supplies and other problems with the building of properties there are often delays in the completion of a new home. It is important that mortgage offers can be extended due to the aforementioned delays. When the property is built and ready, the developer will give written notice. The conveyancing transaction needs to be completed to the written date notice issued, which is usually as little as 10 working days. At Harrison’s Solicitors, we use our expertise to complete property transactions to the tight deadlines issued by the house builders, whilst ensuring the appropriate final building inspections have been carried out and snagging lists produced. Part exchange and assisted move schemes offered by developers are often marketed as an easy and hassle-free option for buyers looking to move into their dream property. Nonetheless, as with all property transactions, this process is not without its potential complications. If you are considering a scheme of this kind, the conveyancing team at Harrison’s Solicitors can give you specialist advice and support.